Sports Collar Stays are available for the dry cleaning industry as well as the individual consumer. Cartons are for the individual consumer. 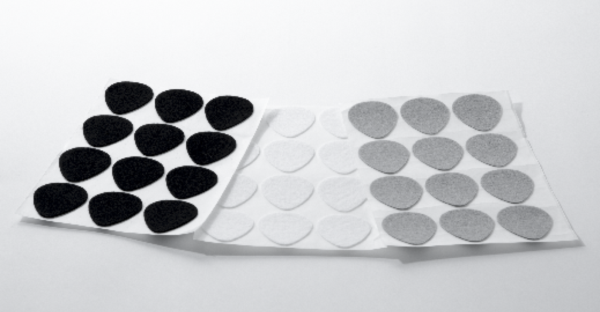 Available in White, Black, Grey, and Blue, each carton contains 15 sets. Our unique design and style gives a very professional look to your Polos, Dress Shirt, Suit or any other garment with a collar. 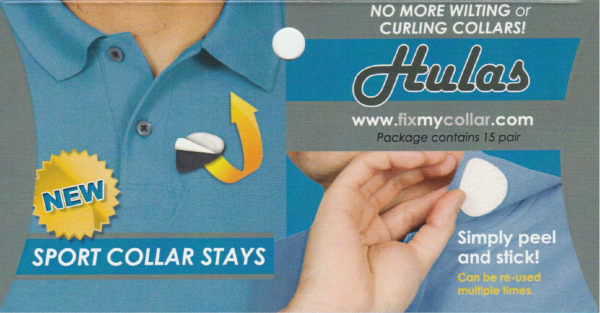 Once you start using them, say goodbye to curling collars forever, no more fussing and fidgeting to make your collar look straight and firm. An uneven or 'dog-eared' collar says a lot about your personality; make sure you are sending the right message to people around you. WHAT MAKES SPORTS COLLAR STAYS GREAT? A well-known fact about shirt collars is they wear out and lose their ability to hold their shape. Each wash affects the shirt collars ability to hold its profile and over time the collar begins to look floppy. Sports Collar Stays are the best collar stays in the market because they keep your collar looking crisp and straight the entire day. 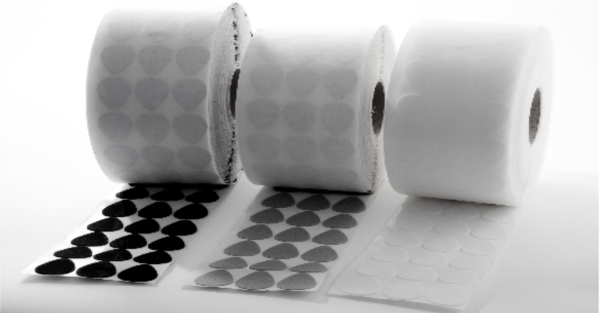 Once they are in place, the strong adhesive backing prevents them from coming out. They are very affordable and can be used multiple times before replacing on many types of sportswear. They fit invisibly beneath your collar and work for both women and men. Currently available in four colors, White, Black, Gray, and Blue.